Exhausted he flung himself down on a couch in the Alliance cantina and closed his eyes. These days Valkorion had felt closer to him than the Force. Not emotionally, just where proximity was concerned. Detached from his wife and old friends, the Shadow Jedi had never been more surrounded and yet so lonely. Sure, his escapades with Lana Beniko had provided a certain cameraderie that he had certainly missed. But being pushed into being a Commander of an Alliance against the Eternal Empire was a destiny he had neither sought nor desired. A serving droid passed him and he picked up one of the drinks, a vile-looking blue liquid that could blow the head of Rancor. He knew he hated it but he needed something to numb the pain. The small droid bleeped, updated its databanks and moved onto the next patron. As he sipped his drink slowly, he considered what had just passed in the last few weeks. Refusing to bow to an Emperor he had opposed, stripped of his powerbase and friends, he had become entwined in a battle he hadn’t foreseen. Too many missions for the Jedi Council and Republic, to see the real threat to the Galaxy., he mused. Well, threats was probably more accurate. The Eternal Empire, led by two power-crazed Force users – that was the visible threat. And his constant haunting of his mind by Valkorion, an Emperor he knew to be even more power-hungry than his off-spring. Not inhabiting a real body didn’t change his character. He had trained so hard to protect his mind in his training and subsequently in training Nadia, but that hadn’t helped. And so in the quiet corner, the Commander, outfitted in black and dark grey, with a stolen mask from a foe he had struck down, the Jedi began to question everything. 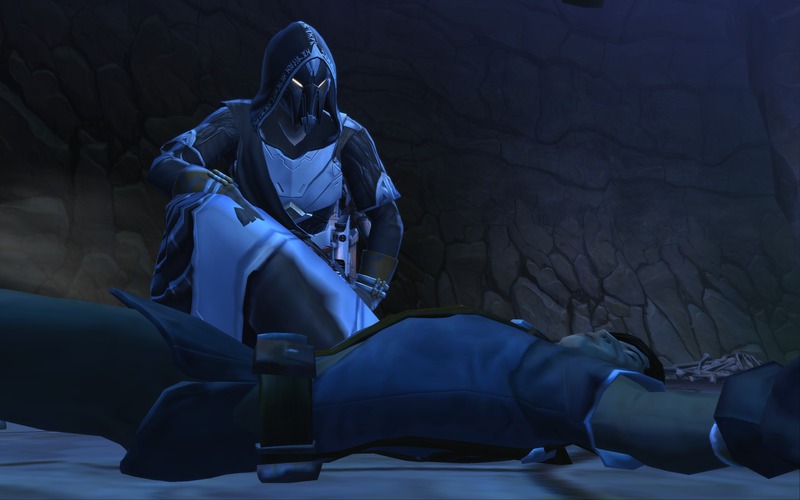 What was it that made Arcann so powerful? He was not a dark-sider in the sense of the Sith, despite all his usage of it being aggressive. 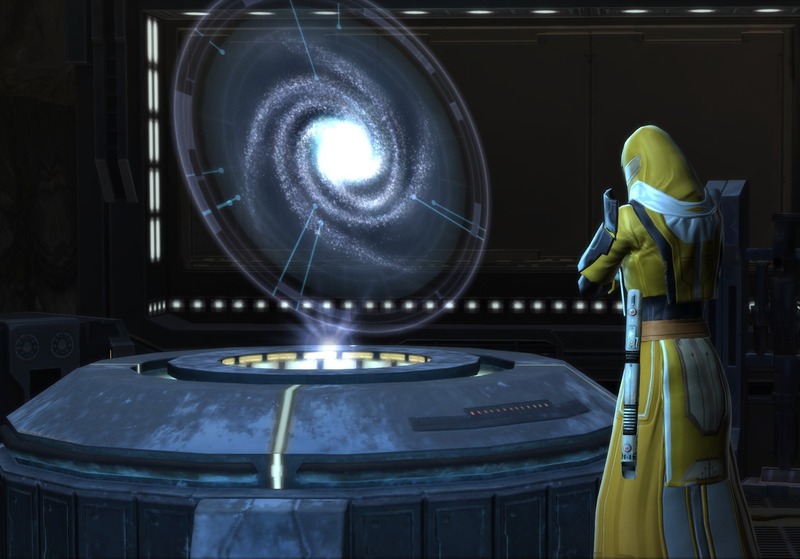 He had come across various strands of Force users in his time; the Voss, the Selkath, the Scions and the Knights of Zakuul. Neither light nor dark, any one of them. With balance came power. Power used in a particular way for a particular moment, its usage and ethics situational rather than absolute. The Jedi and Sith had all but fallen because they took an extreme. In order to understand something, you have to study all its aspects. His former Padawan and wife, Nadia Grell wanted to defend the light, but used her aggression well to devastating effect when the moment called for it. Even in his own training, he had cherry-picked from both Sith and Jedi teachings. “I thought I would find you here”, a kind voice eased its way into his thought processes. “Lana, can I ask you something?”, the Shadow ventured. “Of course.”, she said falling into the seat next to him. For a moment they sat in silence watching the soldiers enjoy a few hours respite. 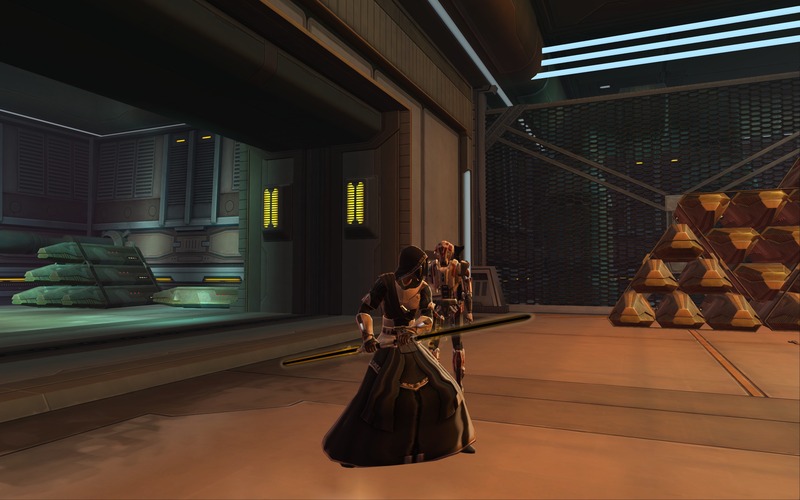 “I don’t seem sithly enough to you?”, Lana ventured back, their eyes not meeting. “I’ve always had an affinity with the Force. That is my primary allegiance.”, she stated. They fell silent again and Lana saw the drink in her Commander’s hand. “You don’t need that, you know? There is a better way.”, she pointed out. Lana always had a way of getting to the point. “I need to reconnect with the Force, wherever it might lead.”, he said. And with that, Cor-Jhan began to loosen his desire to remain in the light. Not because the dark side was tempting, or because he had unchannelled hatred. But because he had lost the meaning of being a Shadow Jedi. A meaning of balance. And more importantly, because in trying to be a Jedi, then being forced into being a commander, he had lost his focus on being who he wanted to be. It was time to put the Shadow back into Shadow Jedi. Fibromyalgia and Gluten Free – What a Farce!